When we say "you name it, we take it" we mean it! That includes Construction debris pickup and disposal. 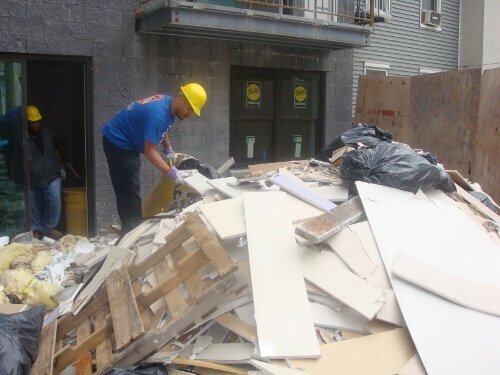 When you need construction debris removal be sure to give us a call. We also rent dumpsters affordably for the "Do It Yourselfers" and offer Curb Side Pickup for a lower price paired with convenience. If you got suckered into a bagster we pick those up also (a great idea in theory but not very practical). Our now famous "Best Price Guarantee" We will beat anyone's written estimate by up to 10% or your job is free!